Hello all! I'm so excited about our meeting next week. 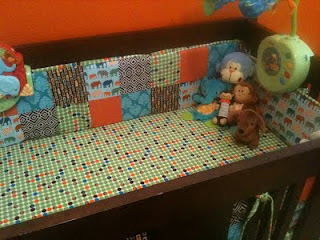 Here's a preview of some items we might see at our next Bring and Brag! 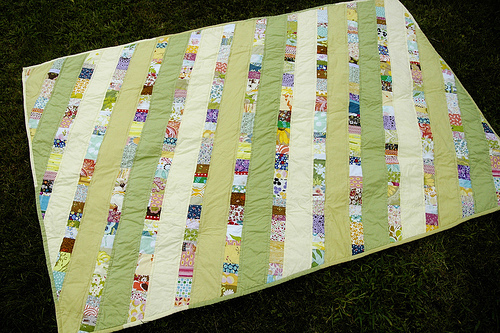 Lucinda made a beautiful quilt for her friend. Emily made this gorgeous blanket as a wedding gift. 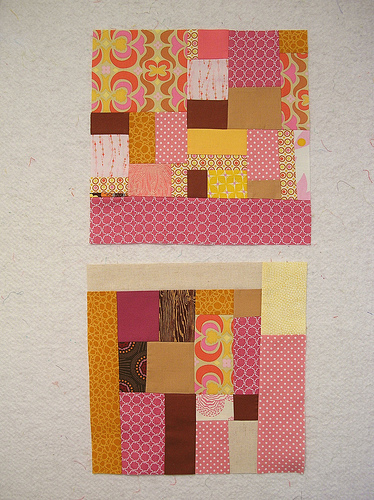 Natalie made her Habitat Blocks, too, and also these lovely squares for a bee in which she's participating. Just in case you weren't sure when the meeting is (4th Wednesday vs last Wednesday) it is next Wednesday, August 31 at 6:30. Don't forget the Habitat blocks! Can't wait to see them. Some beautiful new projects going on in our guild. 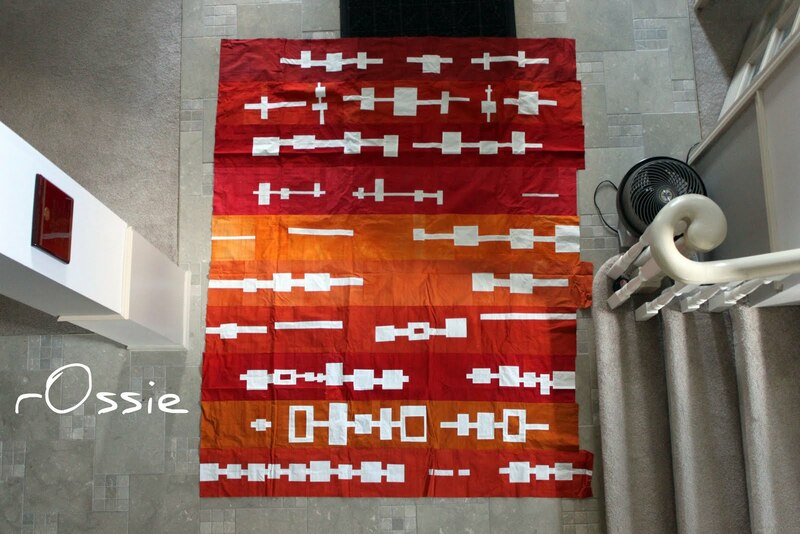 Ginia is working on a new version of her beautiful Cross-Hatch Quilt using some of her own dyed fabrics. 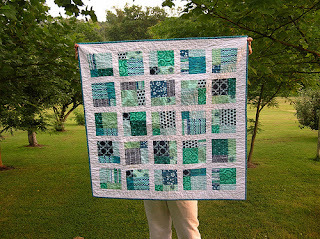 Natalie finished her awesome FMF quilt! 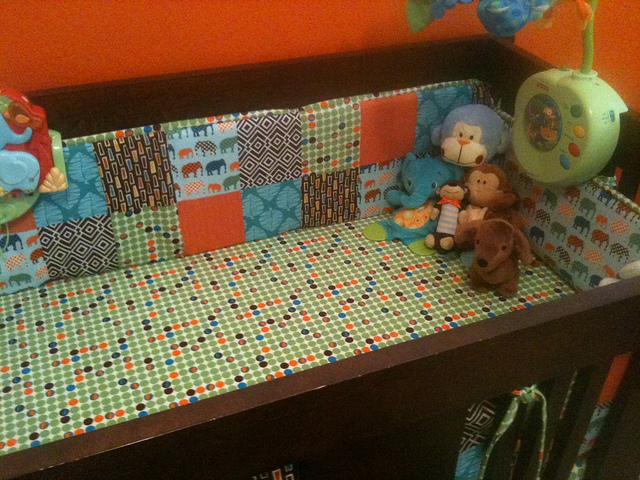 And she made this fantastic quilt! I wish I had a project to share! Everything here looks fabulous! Sorry for the delay in getting details to you on our mini shop hop. 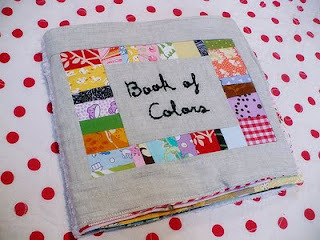 I looked around on the web and didn't have much luck finding a lot of other quilt shops in the Battle Creek area. Our main destination will be Sew Unique in Battle Creek. 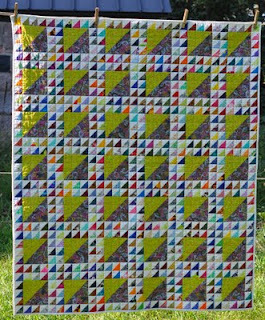 Andrea from the Brighton Modern Quilters and I met her at a quilt show in May and thought it would be fun to go and see her shop. The photo is from their website. 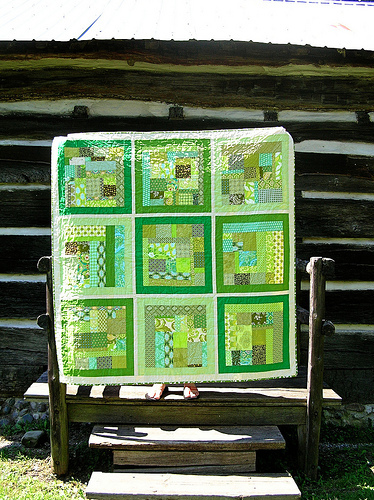 Another possible stop is Quilts at the Marshall House in Marshall. I wouldn't say they have lots of modern fabrics specifically, but they certainly have lots of fabric. 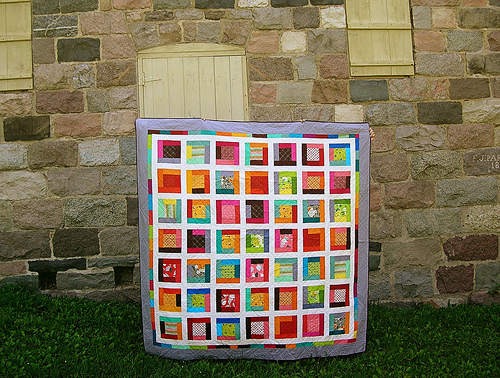 I found two other shops in the area, Quilt N Go in East Leroy and Quilts Plus in Kalamazoo, but neither has a website so I don't know if we want to give them a try or not. So I thought we could meet about 9:30 next Saturday and make our way to Sew Unique first. By the time we finish there it may be lunch time and we could eat and then decide what to do next or we could go on to another shop. I think things will be pretty flexible. Let me (Debbie) know as soon as you can if you want to go. Once I know who is going we can work out who is driving and meeting places. If you are willing to drive, let me know how many people fit in your vehicle. I'm looking forward to a fun day next Saturday - hope to see some of you at the Sew-In tomorrow too! 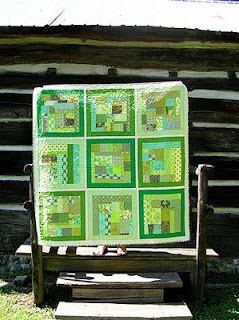 Natalie has completed a beautiful Scrappy Green Quilt. Rossie has finished sewing the top of her brilliant kelp quilt! 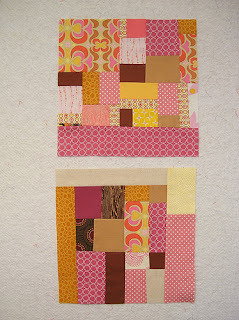 It was her project for the Mid Mod Quilt Bee. 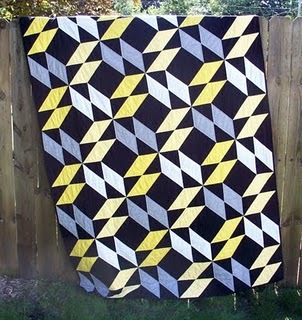 Debbie made this stunning blanket for the charity "Quilts Recover." 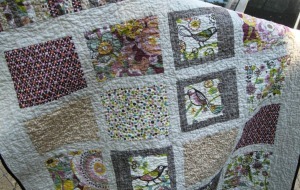 And Lynn finished the glorious Lady of the Lakes quilt! The Modern Quilting Guilt mothership is hosting it's 4th and final challenge for all quilters. 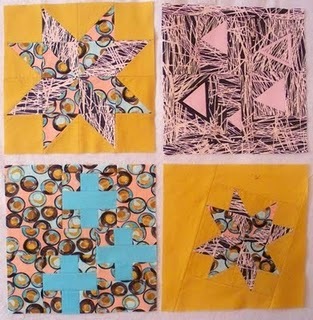 The theme is Find Your Own Voice and the quilts will be judged by the beloved Denyse Schmidt! I know I'm entering... who else from the A2MQG? 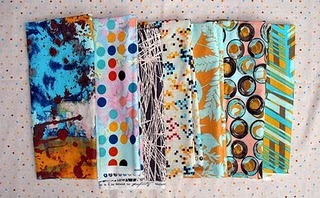 The wonderful folks at FreeSpirit Quilting Fabric were nice enough to donate some Jay McCarroll fabric to our group. 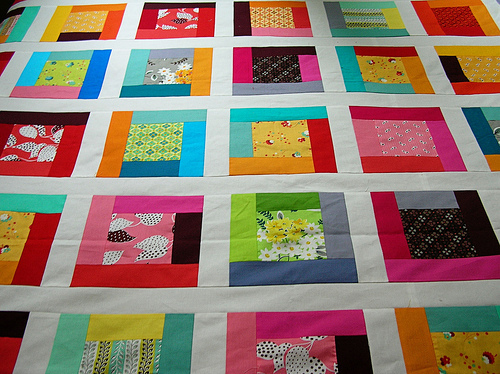 We decided to make a charity quilt using the fabrics. 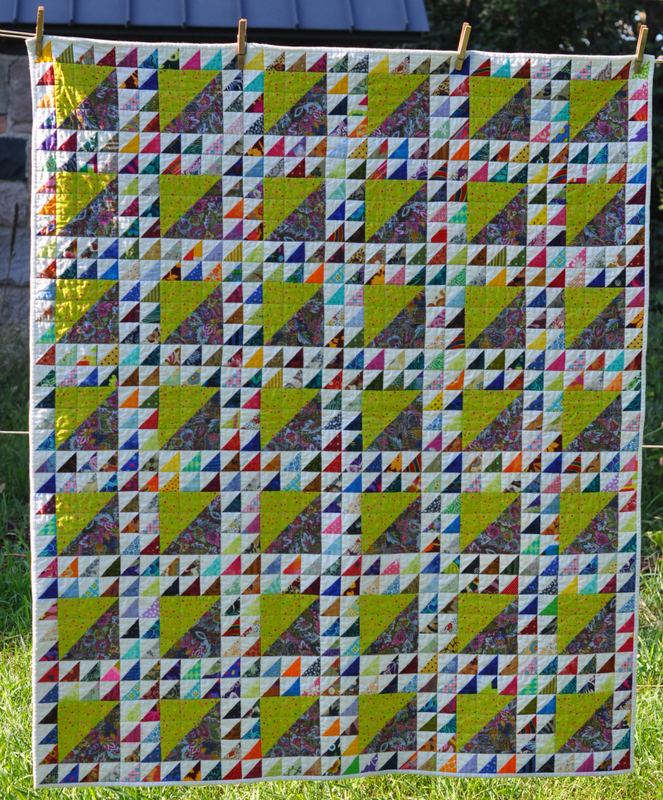 Please feel free to mix the McCarroll fabrics with coordinating solids to make as many 12" (finished size) blocks as you can! 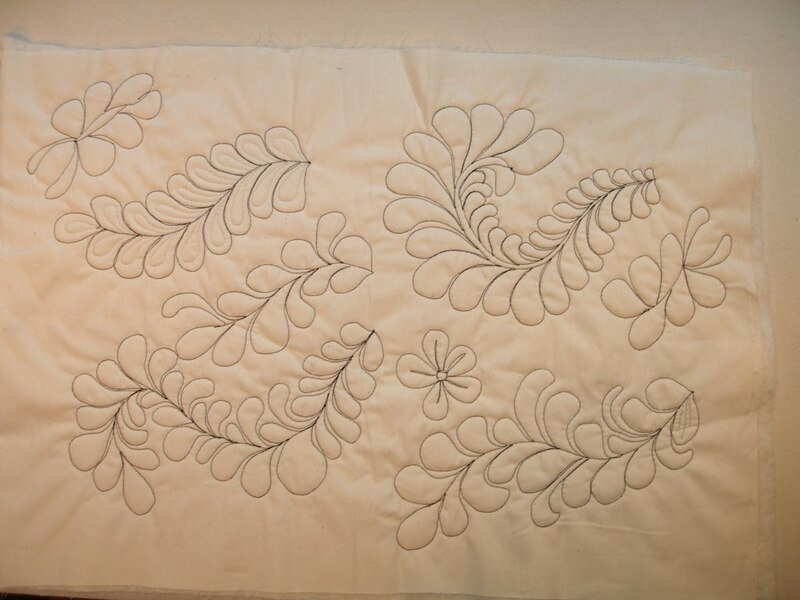 That's 12.5" blocks accounting for seam allowance. Bring what you've created to our next meeting (August 31). 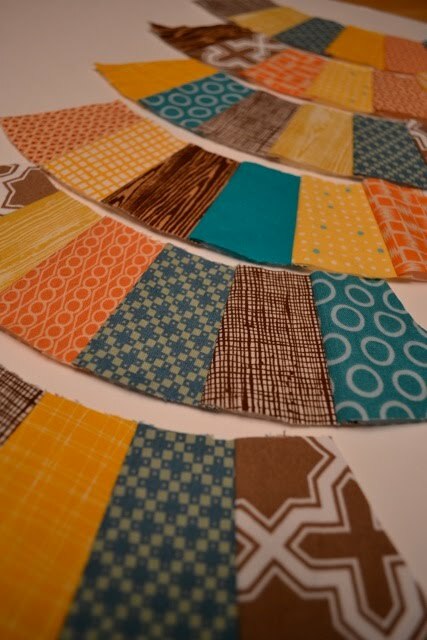 If you were unable to grab some of the McCarroll fabrics at our last meeting, but you feel like participating, maybe you could just make some blocks out of solids? 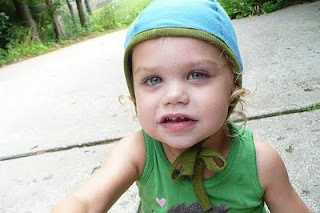 ... and she made an adorable knit pilot's cap (using THIS pattern) as well! 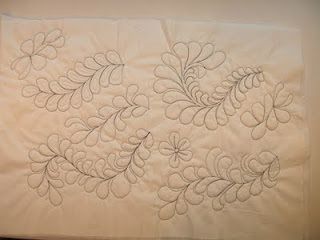 Debbie taught a class on making her beautiful Celebration Table Runner. Ginia just recently started her own quilting blog and has a lot of great tips on dying your own fabrics! 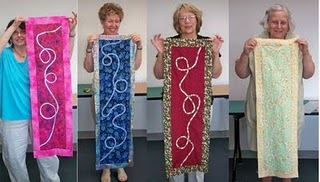 She also recently took a class on sewing Free Motion Feathers. 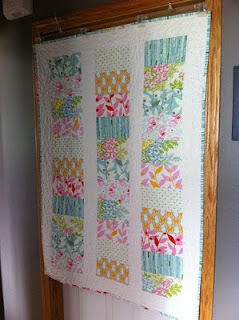 and she's also very close to finishing this beautiful quilt using a lot of Flea Market Fancy! 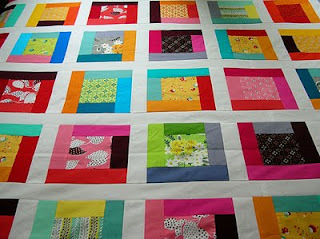 Anna has been working on a double wedding ring quilt, following the quilt-along hosted by the Plaid Scottie. 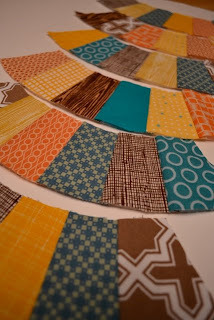 I love these colors! Guild Members - if you'd like to participate in the weekly round-up, but don't have a blog - just email me some pics and a little blurb about what you've been working on! 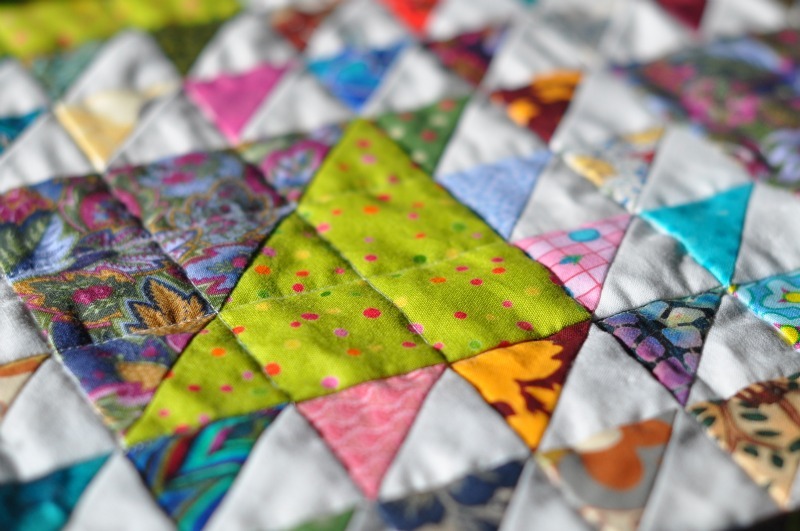 We will have a sewing day at the Quilting Season in Saline on Sunday, August 14th at 12pm. We will be there probably until around 4pm. There is plenty of space to sew, so bring your machine, cutting boards, ironing boards, whatever you want! Please also bring a couple of bucks to donate (other groups who use the space bring $10 a person, but bring whatever makes sense for you financially - there's no formal rate). Also, feel free to bring a snack!